Aleshia lost 141 pounds. When she couldn’t ride on rides with her kids and couldn’t fit in booths at some restaurants, she knew it was time for a serious change. 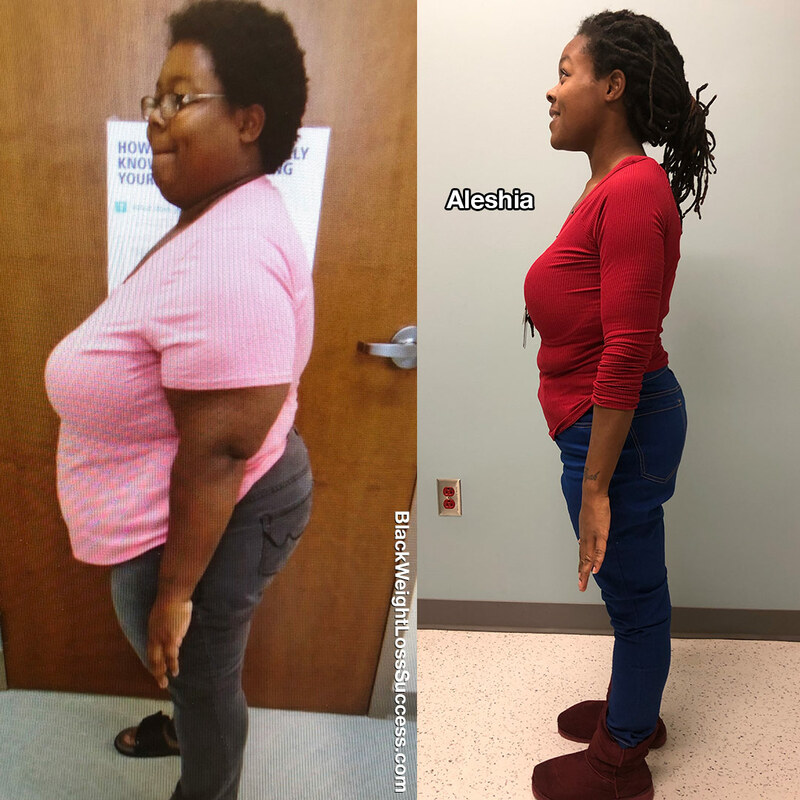 To create her healthy new lifestyle, she used the Gastric Sleeve procedure, portion control, cardio, and weight training. As far as eating habits go, I stopped eating potatoes, pasta, and sweets. Omg, all of those things were my weakness. I used to go CRAZY over a loaded baked potato. Portion control was another thing I had to adapt to after I learned that in the past I was eating for taste and not for fullness. I used to continue to eat just because something tasted good. I began by working out five days a week, doing cardio and then resistance training. I joined weight loss competitions with Herbalife to help me stay focused and to help me push through. My starting weight was 279 pounds. As of yesterday, I weigh 138 pounds. My BMI totally flipped around, which is fantastic and ironic. My BMI was 52, and now it is 25. This brings me joy because I’ve always wanted to become a surrogate and you can’t do that if you are overweight. Your BMI has to be below 32, and I’ve finally surpassed that. What advice would you like to share with people who want to release the weight? My advice to everyone who is trying to lose weight: Do whatever you think is best for you. Don’t listen to anyone else but yourself. You are your biggest cheerleader. You look amazing and are such an inspiration to all of us ladies who want to lose weight. Great job!